After two and a half years of discussion with Forestry Commission Scotland, the work at the Barhill Community Woodland is complete. Thanks to grants from The Galloway Glens Landscape Partnership and Leader the main project is secured. Additional funding, for other parts of the project, has been secured from Dumfries & Galloway Council’s Stewartry Area Committee and The Galloway Association of Glasgow. The Barhill woods will form the focal point for the Kirkcudbright Group and will form an educational and conservation base for our work. This facility is a 6m x 4m open plan building which is available to all local community groups as a base when using the woodland for events or for meetings. There will be no formal charge for the use of the building but a donation would be appreciated to help cover the cost of insurance and maintenance. The hide will be open daily from 8am and will be free to use for both the local community and tourists alike. We may not realise it living in such a favoured area but Red Squirrels are high on many people’s must see list. We hope that by providing a Red Squirrel watching point we will encourage visitors into the area which will hopefully benefit local businesses. A leaflet will be produced which will include a ‘Red Squirrel Walk’ starting and returning to Kirkcudbright town centre. This will help direct visitors to local shops and cafes. Almost a kilometre of new and resurfaced paths have been completed and this will provide all ability access to the woods. With the help of volunteers, seats will be constructed at regular intervals throughout the wood using fallen and cleared logs. The central main path will have seats at regular intervals. Areas will be cleared on the edge of the wood to provide open views across the surrounding countryside and picnic benches will be re-instated. Management of the woodland will ensure that the view from the town will not be degraded. The trees at present are mostly of a single age and with the help of volunteers we will replace areas of fallen trees with Red Squirrel friendly species. 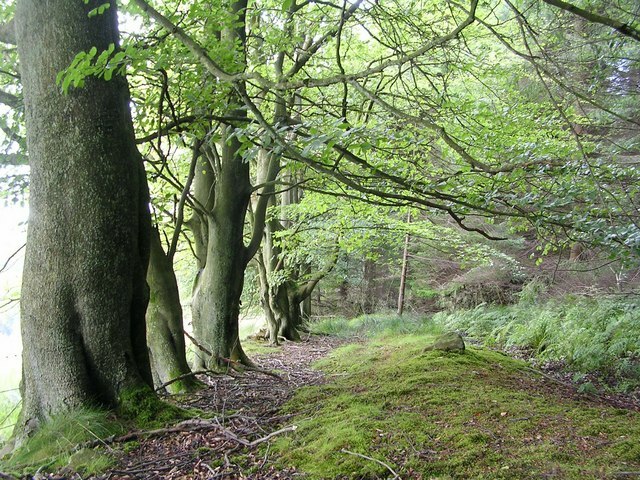 The aim is to gradually create a mixed age woodland with a more diverse wildlife friendly woodland edge. Using smaller trees such as rowan, thorn, bird cherry, blackthorn etc. around the edge will make the whole wood less prone to wind damage. We are looking for volunteers for all aspects of the woodland project, from opening the hide to improving the habitat and planting trees.